There I was, sitting at work with a growling stomach. No, that is not that unusual and in fact, it is a pretty regular occurrence. Anyways, I turned my attention in figuring what to do for lunch. 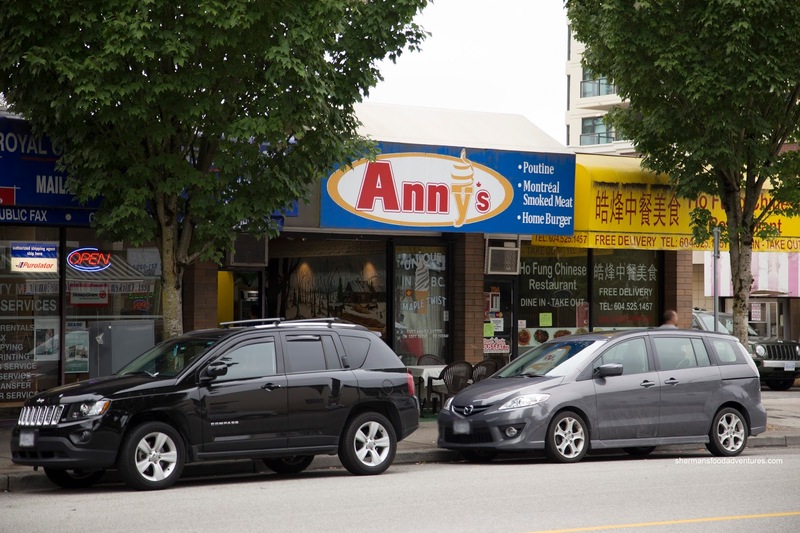 I quickly sent JuJu a text and we agreed to meet at Anny's Dairy Bar in New West. 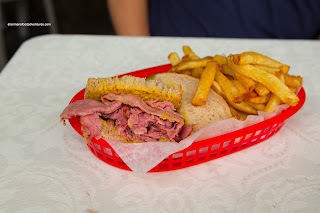 No, I didn't suddenly morph into Mijune and attempt to eat only desserts for lunch, rather Anny's serves up authentic poutine and smoked meat sammies in addition to steamies and hamburgers. With that in mind, we wanted all of it and that we did. 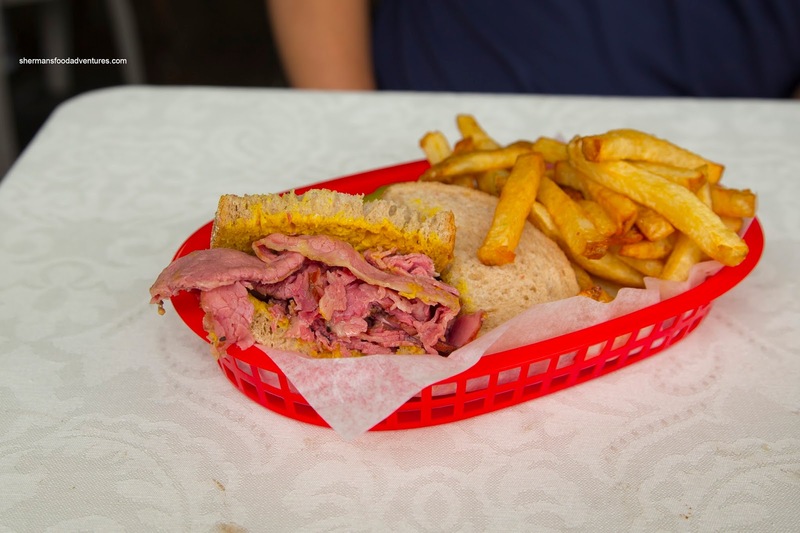 JuJu ordered the 7-oz Smoked Meat Sandwich served with fresh-cut fries. Sandwiched between 2 soft slices of light rye bread, the thinly shaved smoked meat was buttery and soft with a balanced saltiness. I personally prefer the meatier texture of Dunn's and Estrella's, but this one was decent nonetheless. As for the side of fries, they were thick, crispy and plenty fried. For myself, I had the Big James Deluxe Burger loaded with a home-made patty, cheese and bacon. 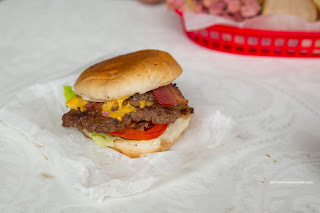 I enjoyed the crumbly and moist beef patty that was further enhanced by crispy lean bacon and a soft airy bun. 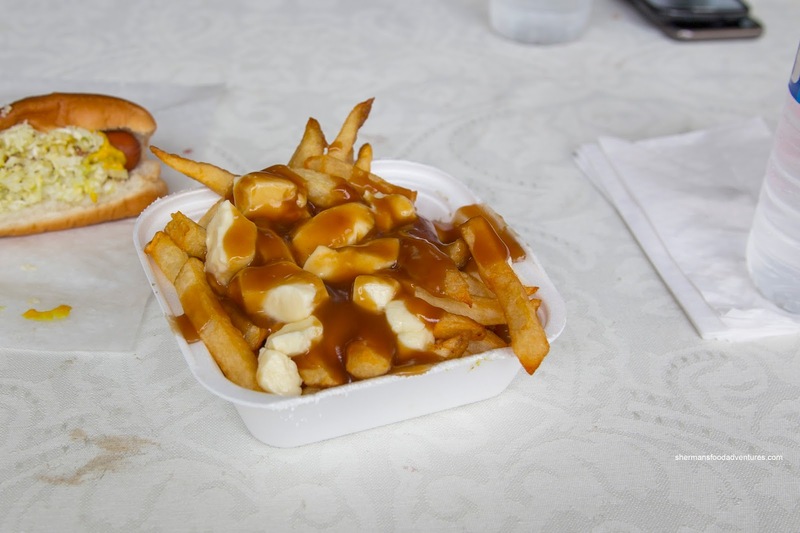 For my side, I upgraded to a Small Poutine complete with authentic packet gravy and large cheese curds. 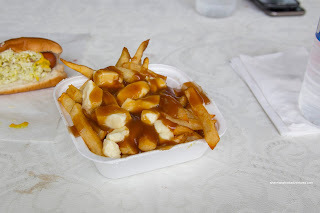 With the same good fries and topped with enough gravy to coat each one, there was plenty of silky saltiness. The large cheese curds were buttery soft with a slight squeak. 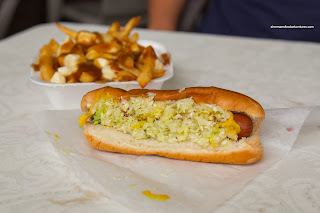 I also got a Steamie with the works including pickled cabbage, onions and relish. As much as this little hot dog only cost me $1.25, it was fulfilling. I particularly enjoyed the soft steamed bun which lovingly wrapped around the juicy wiener and other ingredients. 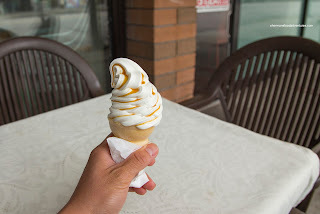 Of course, I couldn't leave without getting one of their famous Maple Twist cones made with Island Farms milk. Yes, believe the hype as the soft serve was creamy, light and surprisingly not overwhelmingly sweet despite the addition of maple syrup. I originally only wanted to finish half, but I practically at the whole thing. 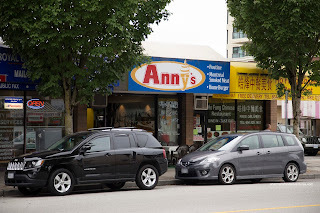 All-in-all, this little place in New West served up some decent eats at a reasonable price. Also, I never thought I'd love a maple twist cone so much either. LOL. I had a similar ice cream experience at Edaleen Dairy in Lynden. It involved coffee soft serve (I think it was cold brew coffee) and I ordered a medium. It was huge and my sister thought I wouldn't be able to finish it. I did and it was awesome (but boy was my stomach full!). Just tried both the steamie and the toastie hot dogs there yesterday. Kinda small, but pretty good dogs, considering the prices. I really liked the toasted version as not only is the bun toasted, but they also butterfly the wiener and fry it on the griddle (just like the A&W whistle dog), which adds a nice crispy char flavour to it. I also wanted to order their Michigan dog (with a tomato-based spaghetti type sauce), however they informed me that it was discontinued. 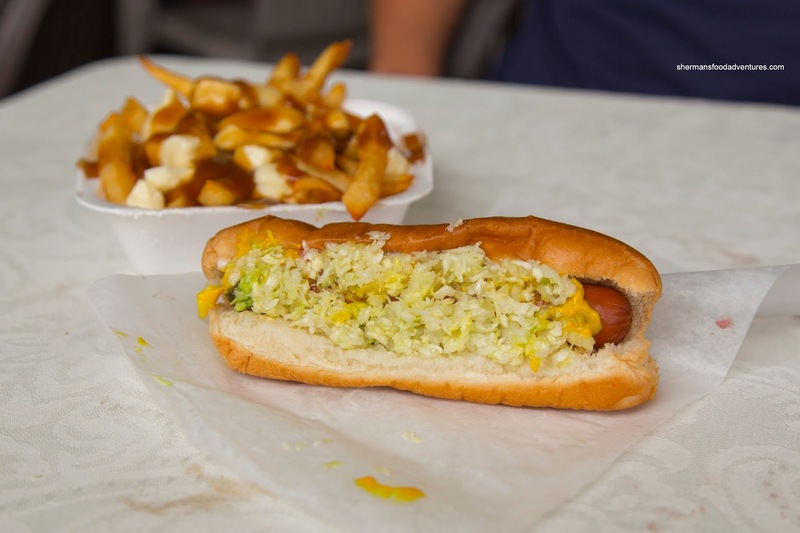 While I personally prefer a more traditional chili sauce, Michigan style sauce is quite popular back east (Michigan dogs are available at La Belle Patate in Vancouver).